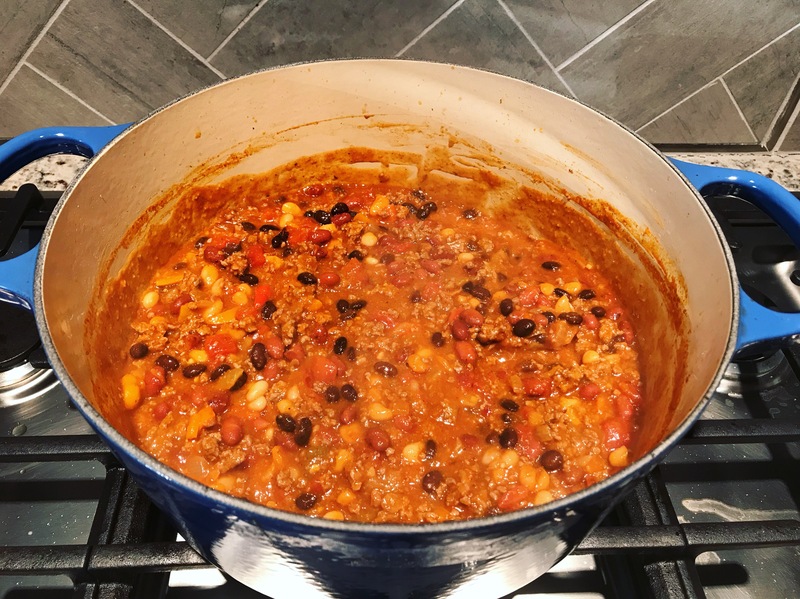 There is literally nothing more November than a pot of simmering chili and the sounds of crowds, whistles, and that NFL song that always plays resonating through the house. (If I was good at making this website I could cue that intro song to play right now and it would be super cool, but I’m not.) I’m also not that great at consistently writing in this blog, but I’m trying! Baby is sleeping, husband is yelling at the Chiefs (and the universal remote that keeps getting the best of him) and I just made this delicious and incredibly easy taco chili. And for any DadPod fans out there… this is the perfect recipe for a novice cook or a great meal to throw together when you have your turd friends over to watch football.